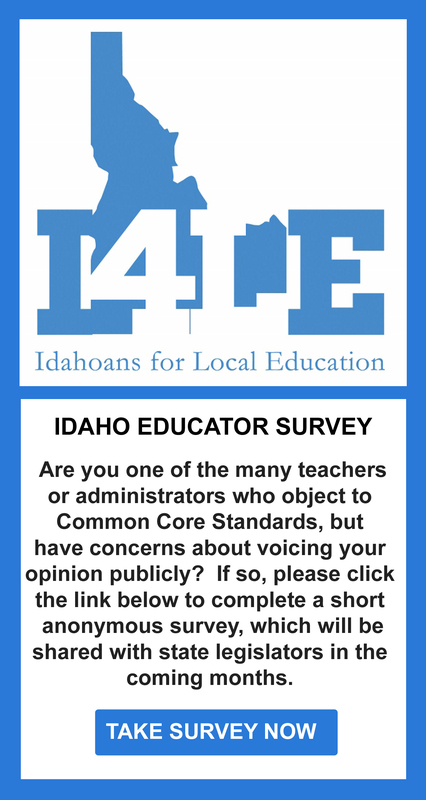 Why Refuse the Use of Standardized Testing this Year in Idaho? These days a parent can easily feel left out of the equation in education decisions affecting their child. They sometimes receive aggressive push back when exercising their parental rights. (Click here) Many times taxpayers simply feel pressured that they must pay for whatever new experimental reformy thing comes next. 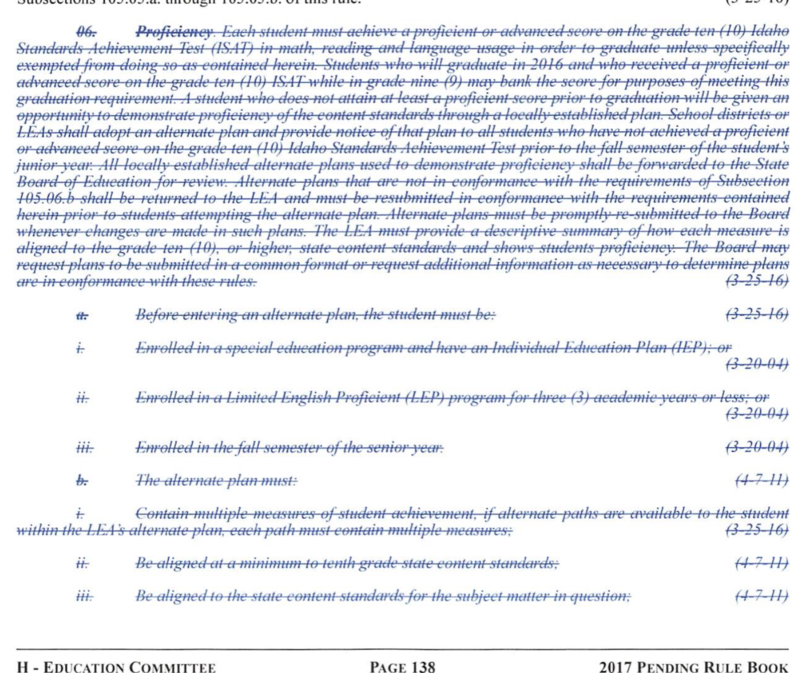 “Specifically, the rules requiring the ISAT (or SBAC) for graduation are no longer in existence. So, the top of their page 6 is now out of date and page 9, section 07 has been repealed. The citizens of Idaho came together, armed with knowledge proceeded to make their objections known. The list is pretty long ( Click here),( Click here) so for brevity, let’s look at the 3 basic objections than can unite us all together in the battle for local control. No one said keeping the republic, and local control was easy – but these are our kids, and this is our money. We the people looked to other states to see how they were fighting back and came across Oregon’s Parents Across America and their success with getting a bill passed to audit their SBAC test ( Click here, Click here) Spoiler alert- Idaho has roughly half the students of Oregon, so when you look at the numbers, simply cut them in half and be irritated-very irritated. The only person benefiting from this test is the juridical person, the test company. Due to numerous requests that our Idaho legislators audit our SBAC/ISAT, the pretty blue lines were swiftly and quietly born! We the people are proud parents of pretty blue lines in 2017. The feds do not need this invasive data, the teachers and kids deserve their actual class time back for learning, and if Idaho decides to have one state test, at a minimum, it should be fiscally responsible, valid/reliable and have actionable data. 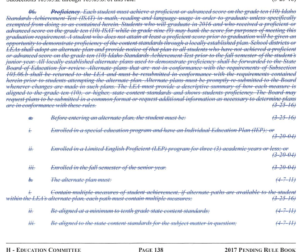 Simply put, two signatures from the executive branch with no legislative oversight on the Common Core State Standards (2009 MOA Click here ) is where you will find the details (Click here) of federal over reach (Click here). These executive branch persons should not be able to totally eliminate the fourth and tenth amendments of our youngest and most vulnerable citizens by taking advantage of taxpayers to do it. There was no consent of the governed. This was education reform without representation. Again, if a summative assessment is what Idahoans want as a measurement of success, shouldn’t that assessment be valid, reliable, fiscally responsible and add to class time, not disrupt and detract from it? Parents rights, students rights and local control should be protected in our republican form of government. That’s the bottom line. Mary Kay Tall: I am absolutely opposed to this bill. Please vote NO. Jana Johnson: Thank you so much for letting me know. © 2019 Idahoans For Local Education. All rights reserved. Developed by 4:15 Communications, LLC.